Do you own a wok? If yes, does it look anything like this one? It's pretty, right? 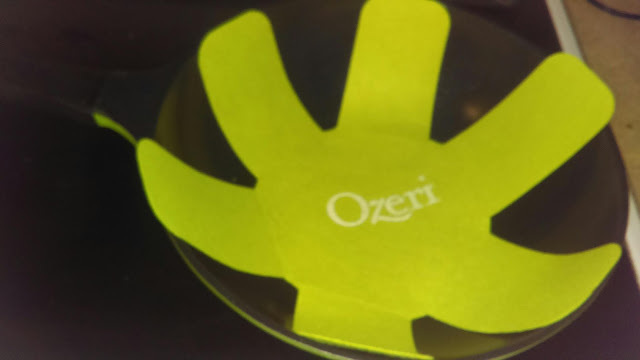 It's from Ozeri, a company known for their innovative products. I love everything that I have from them. Seriously. It also has a heat resistant handle and magnetized induction stove safe base for rapid heat transfer. So, yes, it heats up quickly and evenly. 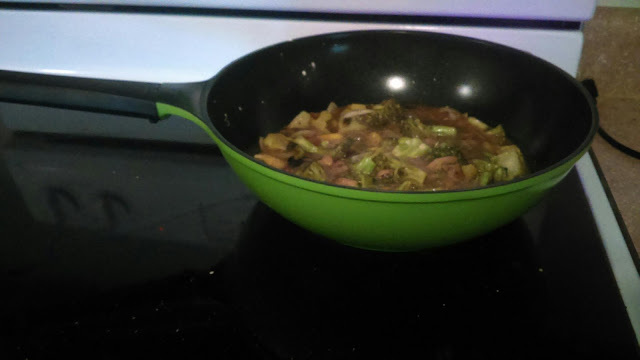 You don't have to use your stove at it's highest heat level to get there either. It does come with a special padded cover for when it is stored away. You don't want to damage such a beautiful pan with other ones stacked right on top. 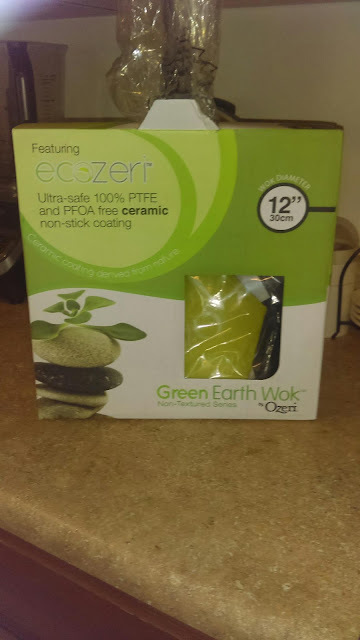 This pad, as shown above, really does a good job of providing protection. I'm pleased with it's large size and how quickly it heats up. I haven't had any issues with food sticking to it. It's easy to clean. 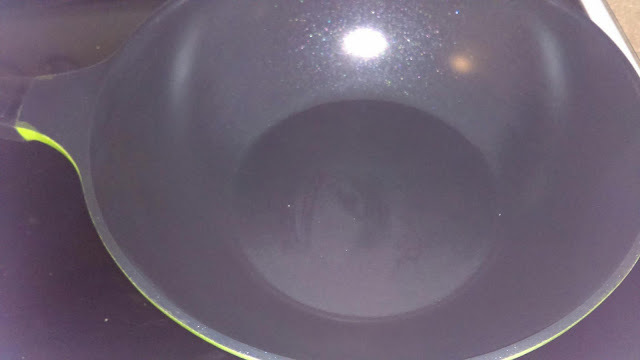 Also, as I've learned with my other green products from Ozeri, you should season the pans occasionally with oil. Simply rub the oil on the clean pan, and use a paper towel to remove any excess. Do this every now and then. 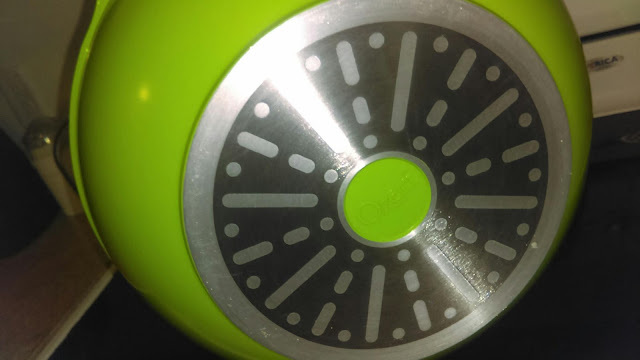 Use a non-abrasive sponge when cleaning and hand wash. 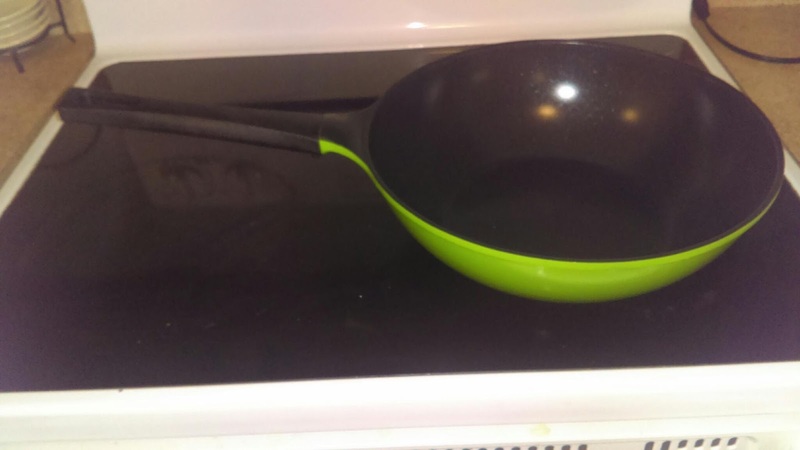 This pan, as well as their others should look good and work well for a very long time.